We say Snapchat, and you say Snapwhat? Indeed, Snapchat is a bit of a mystery among promo companies, yet, at the moment, it’s arguably the hottest social media platform. More than one million people are on it every day for at least 25 minutes. They check it more than any other social network, watch videos on it for longer, and spend more time on it than other social media. It doesn’t work like typical social sites, though. Snapchat focuses on perishable content, photos and videos from throughout the day that last either for a few seconds after they’re viewed or for 24 hours in a photo story form. People love it because with the promise that whatever’s been posted is going to disappear, users tend to be more authentic with their posts – which, for a brand trying to increase sales through their Snapchat, definitely spells success. For promotional firms, there are two ways to effectively utilize Snapchat to drive sales: native advertising on the platform and brand awareness through general usage. Here, Crowe and other experts share their top tips for using the platform in an effective way. Crowe says it best: “It takes a village.” Most brands advertising on Snapchat don’t have just one person at the helm. They’ve created an entire social team of employees who sit in a room and decide what to post. Larger industry companies should do the same thing. The majority of Snapchat users are between the ages of 18 and 34, so you’ll want to carefully strategize not just what you snap, but who you target those snaps and ads toward. “If you’re a company in the promo products industry, whom are you going after?” Crowe asks. “You’re going after the procurement people, the people who go to conferences and need a bunch of pens, the HR folks who need a lot of different things. What age demographic do those people fall under?” Those are the demographics you want to see your ads, so target them with all the options you have available. You also want to make sure your ad posts represent your brand well and send a message across that you’re comfortable with. Create a voice and a style. Learn from the larger brands using Snapchat effectively for advertising and see what you can mimic from their style. Experts say the best way to advertise your brand on Snapchat is usually with a custom lens. Currently, the most successful lens campaign in Snapchat history is Taco Bell’s; the company created a special lens for Cinco de Mayo allowing Snapchatters to turn their face into tacos, and it was viewed 224 million times. But it was also ridiculously expensive. The exact cost is unknown, but estimates hit about $750,000. Small promotional products companies obviously don’t have that kind of cash. So forget the custom lenses. Instead, buy a custom geofilter. These can cost as little as $8 and allow you to design your own enhancements to snaps, such as a sticker-like addition that displays your company name, or a digital embroidery patch that sticks on someone’s photo. You pick a date and map out a certain area for the ad to show, so anyone within that area using the app will have your filter as an option. According to Gross, you can target your geofilter beyond just location: Like Facebook, you can aim for certain customer groups, even down to selecting small-business decision-makers, who are most likely to order promotional products. Always, always watch the data. Snapchat is a little behind the other major social media networks as far as tracking advertising, so you’ll need to pay more attention than usual to the metrics you get back. You can currently see what social media expert Mollie Reynolds-Cooke calls “vanity stats,” ones that show views, impressions, engagement and demographics. More real-time tracking of ads is slowly becoming available, but until there’s a full suite of metrics, you’ll need to analyze the results of an ad campaign yourself. Unless you’re a giant brand with a huge marketing budget, it’ll be difficult for people to find you on Snapchat. It’s not so much like Facebook or Instagram that you find new accounts just by scrolling or checking different hashtags. Generally, users must actively search for your username. That’s not to say it won’t happen, it’s just not likely, so you’ll have to employ other tactics to get followers on the platform. With that in mind, it’s a smart idea to advertise your new Snapchat account on your other social media efforts. Share your username or Snapcode (a custom QR code that people can scan to follow you) across all your accounts, send it in email or let people know over the phone. If no one knows you’re on the platform, what’s the point? Snap stories are photos or video strung together in a slideshow style, and they allow a lot more flexibility for a brand using a typical account setup to get the word out about their products. One option is to use the stories as product reviews. If you’ve got a new product in one of your lines, use the first snap to highlight the product itself. Then follow that with a snap or two of the product features, and finish up with a snap of someone actually using the product. Try to work with existing Snapchat influencers as well. These people are popular on the platform already, so if you start a partnership with one, your visibility will instantly increase. To really use Snapchat to raise awareness of your brand, you’ll want to post frequently so people begin to expect it and come back to look for your posts. But there’s one key thing to remember here: Don’t post something unless it’s interesting. Even if you do have interesting things to post about – say a cool, behind-the-scenes post about Twin Day in the office – make sure you aren’t oversharing. A messy office in the background shows too much. A too-long video will lose attention. Let’s face it. When someone holds the keys to your entire social media, there are bound to be screw-ups – even if you completely trust the person at the ignition. No one ever wants to see their company snap a crazy party or for a personal snap to hit the public sector. Just like every social media network, Snapchat has its own language. 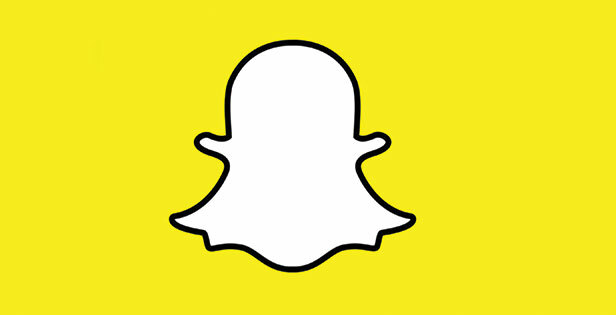 Familiarize yourself with these terms to start down the path of becoming a Snapchat marketer. Attachment: This tool lets you link further content to your snap ad that viewers must swipe up to see, like a website, video or app install page. Auto-Advance Stories: Snapchat added this option to link each user’s stories together, so you don’t need to click on each user individually to watch their story – it just autoplays. Average Screen Time: This is the average number of seconds people watched your snap ad. Completions: The total amount your ads were watched at least 97% to the finish. Discover: The page where brands and publishers post their Snapchat stories. These are all branded content. Filters: These are things you can add to decorate your snaps. Think of them as stickers or full-photo effects. Geofilter: This is a location-based filter. You design a filter to show in the options (like a background covered in sparkling pens), and then set a geofence that determines where and when the filter will be shown. This is a good marketing strategy for small businesses hoping for cost-effective advertising on the platform. Lenses: Snapchat’s most popular feature, lenses alter someone’s face in their snaps – think about those images of people with huge eyes or giant tongues when they open their mouths. Sponsored lenses (designed and paid for by brands) can be an effective but expensive marketing tool for companies. Reach/Views: The number of Snapchatters who saw your filter while using the app, either directly or through a friend. Snaps: The bread and butter of Snapchat, these are photos or videos taken by users and shared on the platform. Snaps disappear almost immediately after watching them. Snap Ads: Similar to snaps, except these are ads. Snapcash: This embedded feature allows users to send money through the Snapchat platform. Snapcode: Customizable Snapchat QR codes. Each user has their own Snapcode. Other users can scan it to easily add them as a friend. Snapcodes can also be printed on external products or packaging to unlock special features in the app for users that scan them. Snapcodes can also be designed to send a user to a website or product page. Stories: Users can add individual snaps to a story, which compiles them into a slideshow and sends them out to either all the user’s friends, or to a custom list. Unlike regular snaps, stories are available for 24 hours. Swipes: The number of people who viewed your filter as a potential option for their snap. Swipe Time: The amount of time those people played around with your filter on their snap. Swipe Ups: The number of users who swiped up on your snap to view your attachment. Trophies: Unlockable achievements people earn by using the platform, including things like sending a snap with a filter and using multiple colors. Uses: The number of people who used your ad filter. Video Views: The number of people who watched your ad video for at least two seconds.